Ellie related this horrific story to me quite calmly. Fortunately, a neighbour had seen what was happening and intervened, and Ellie’s mother eventually “went away for a while” – which, at the time, meant she had been institutionalized. You may be surprised to learn that Ellie was not left traumatized by this experience. She had actually come to see me for help with weight loss. The story of her mother’s life-threatening actions was shared with me only as part of the general background information about her childhood. I took steps to check that Ellie really didn’t need help reprocessing such an outrageous-at-the-time memory, and then we got down to work on her motivation to exercise and eat well. So how did I know that we didn’t need to focus on her mother’s attempt to murder her? Contrary to popular belief, not everyone who has been through a horrendous experience gets traumatized by it. Around 75% of survivors of trauma naturally de-traumatize without any kind of intervention. (1) Most people process traumatic experience by dreaming it out, or talking it out, or otherwise contextualizing it – just as Ellie had done years ago. 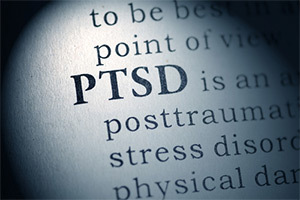 The 25% of trauma survivors who have persistent Post Traumatic Stress symptoms – such as flashbacks, nightmares and generalized anxiety disorder – are vulnerable for various reasons, but three factors seem to be commonly implicated. Now why should that be? However, it makes sense that the more hypnotizable someone is, the more prone they are likely to be to develop PTSD or phobias in appropriate circumstances. Fortunately, that correlation means that they are easy to treat. What is quickly caused (a trauma can be ‘learnt’ in a matter of seconds) can also be quickly lifted – if not in seconds, at least in minutes. But if most people naturally contextualize what happened to them and don’t need help, how do we, as therapists, know who needs help deconditioning a traumatic memory and who doesn’t? 1) Can they actually talk about it? So-called ‘critical incident debriefing’ (now shown to be counterproductive for many survivors of trauma (3) (4)) tries to get traumatized people to talk about what happened to them as soon after the event as possible. This might be okay for the 70% or so of people who would have recovered naturally anyway. But for people in the more vulnerable group – likely anyway to be more severely traumatized – talking about it, or trying to relate what happened in words, can actually worsen the trauma in the brain by ‘re-activating’ it and embedding it deeper. If your client can’t talk about a trauma, don’t push it. Until you have de-traumatized the memory, talking about it will make it worse. Until you de-traumatize a memory, talking about it will make it worse. 2) Does it still feel recent? Many therapists assume that someone ‘must be holding on to trauma’ if they have been through something awful. The brain is magnificently adaptive. Some people don’t need help overcoming a trauma (although, of course, if there has been a massive amount of traumatic experience then not needing help is quite rare). They fall within the 75% of people who are able to talk it out, as Ellie had. I asked her to tell me whether, when she thought about the time her mother had tried to kill her, she felt anxious right now, forty years later. This told me that this memory, terrible though it was, was no longer ‘live’ for Ellie. Because of the way trauma gets ‘lodged’ in the brain, traumatic memories don’t tend to fade with time until they are ‘de-traumatized’. (I use the Rewind Technique to do this as it is the safest fastest method I know of). Another client of mine who was in her sixties recalled finding herself hanging by her fingers from a loft opening when her brother, for a laugh, removed the ladder from beneath her feet. She told me that this 50-year-old memory still felt like it happened only yesterday. So, ask your client whether the traumatic incident feels more recent than it actually was when it comes to mind. 3) Do even nebulous ‘reminders’ set off flashbacks? A war veteran I saw would feel terrified at the sound of fireworks or other sudden noises. He also felt compelled to walk down the middle of the road (in spite of the obvious dangers!) because back in Afghanistan roadside bombs had been common and deadly. A woman who had been raped by a man with a beard would have flashbacks at the sight of a bearded man. That’s a lot of flashbacks. You can, of course, ask someone straight out whether they still get flashbacks to the event, but to show them that you really understand how trauma works you can ask them whether even the vaguest of reminders sets off a huge panic response within them. The amygdala deep within the brain of someone who has PTSD has been ‘imprinted’ with the pattern of the trauma they’ve experienced. This pattern contains all the information surrounding the initial event – including aspects not available to conscious memory. (6) Once this traumatic template is in place, all new incoming information is compared to the traumatic pattern to check if there is a complete or even just a partial match that requires the amygdala to fire into action. This is your key. If just elements of the pattern of the initial incident set off panic, then your client is in need of de-traumatisation. Ellie successfully lost weight after working with me, but she had lost the trauma decades before. I would only have wasted her time and money if I had taken her down that particular therapeutic cul de sac.